APA Benefits, Inc. has the knowledge and tools to assist plan sponsors in notifying terminated participants of their rights to a distribution from the retirement plan. Furthermore, we can complete the forms 1099-R, 945- 1096 and other pertinent tax forms so that you don't have to. 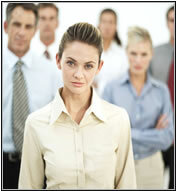 Please contact us so that we can help you locate and distribute balances to your former employees.